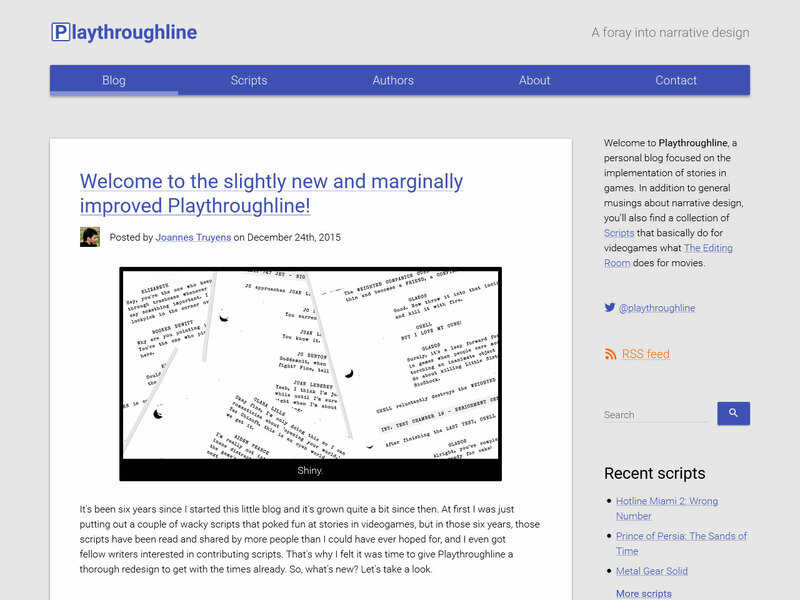 In late 2015, my good friend Joannes asked me to redesign the blog I had originally created for him back in 2009. We migrated all the site content from WordPress to Drupal. 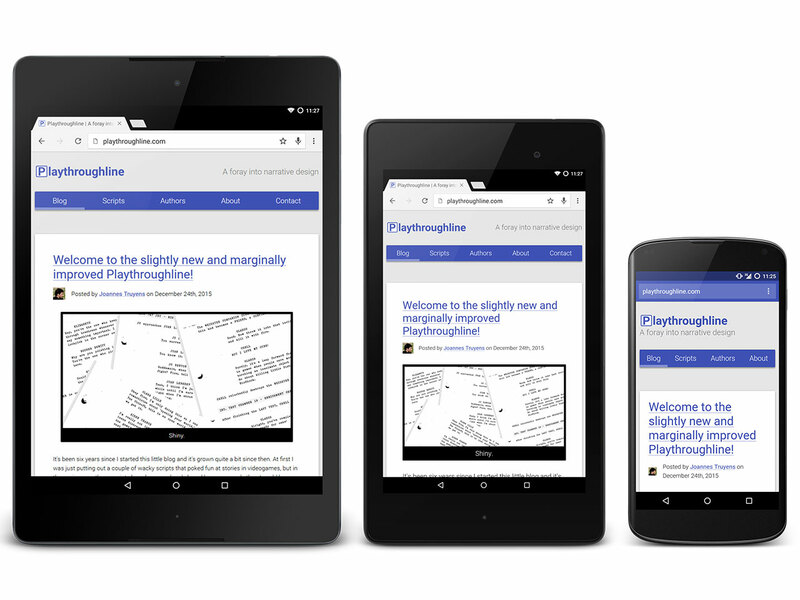 The new site is based on a mobile-friendly responsive foundation, like all of my current projects, and attention was paid to the display and loading of images on phones and tablets. 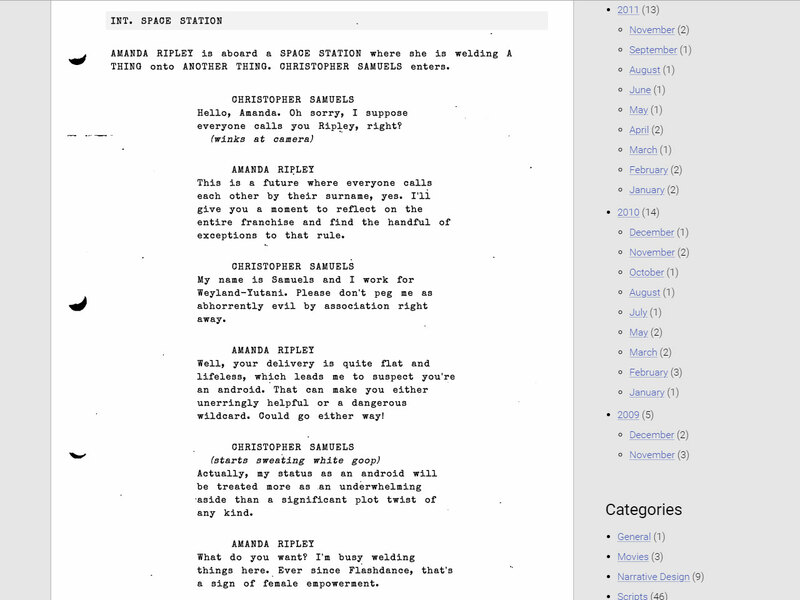 I implemented aspects of Google’s Material Design visual language, the paper sheet aspect of which worked perfectly with the satirical videogame scripts he and his contributors post to the site. We worked on a photocopy grunge effect to apply to the script sheets, complete with holes punched out of the left edge. 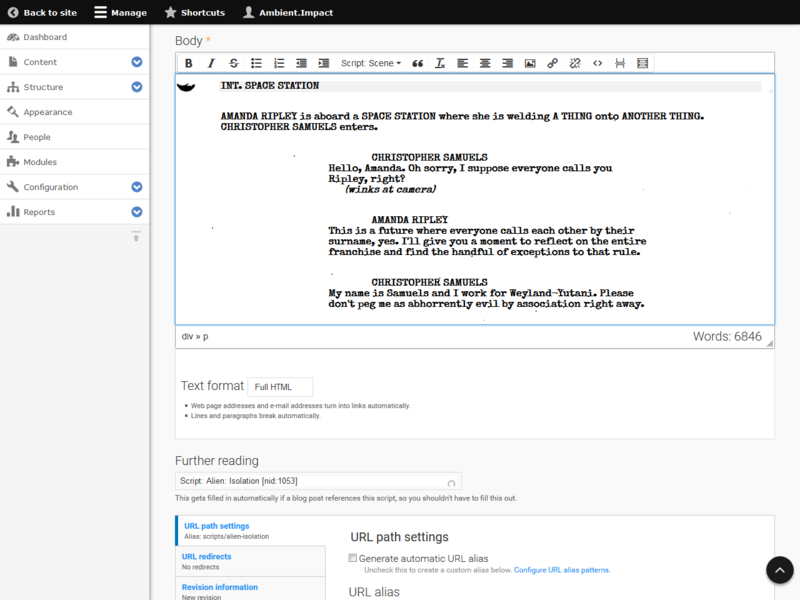 The administration interface is significantly improved, with custom extensions to TinyMCE (a rich text editor), which allows the authors to paste and edit scripts via a graphical interface. MoxieManager is used as a file and image manager, for simple uploading and linking. As a result, the interface is very easy to use for non-technical authors.